If you did not receive this blog post in your inbox, sign up here. 1.) Currently, homeschooling is completely separate from institutional education programs. Parents are solely responsible for expenses. 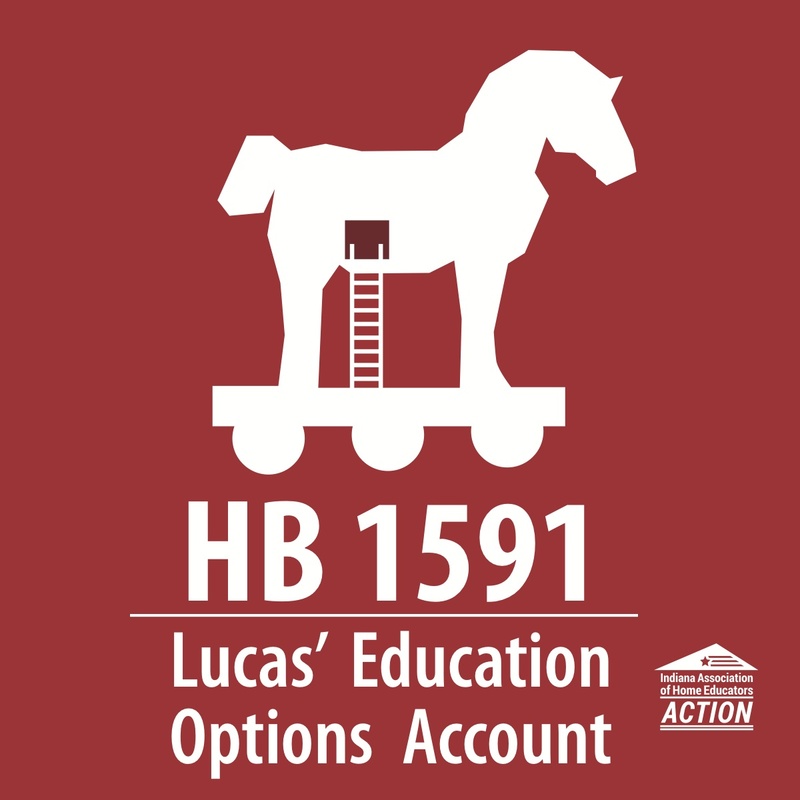 Education Option Accounts (EOA), also known as Education Scholarship Accounts (ESA), blurs those lines by sending taxpayer dollars into homes. This ultimately turns homeschools into public schools and subject to regulation. 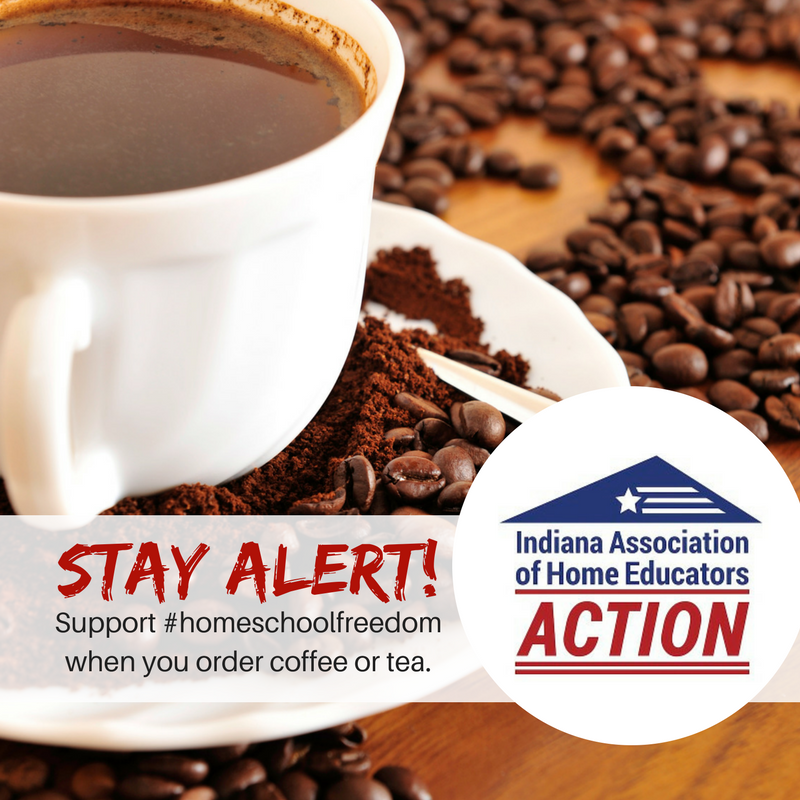 Homeschools in Indiana are considered “private schools”, but the introduction of government money endangers educational liberty. Government money always comes with strings. 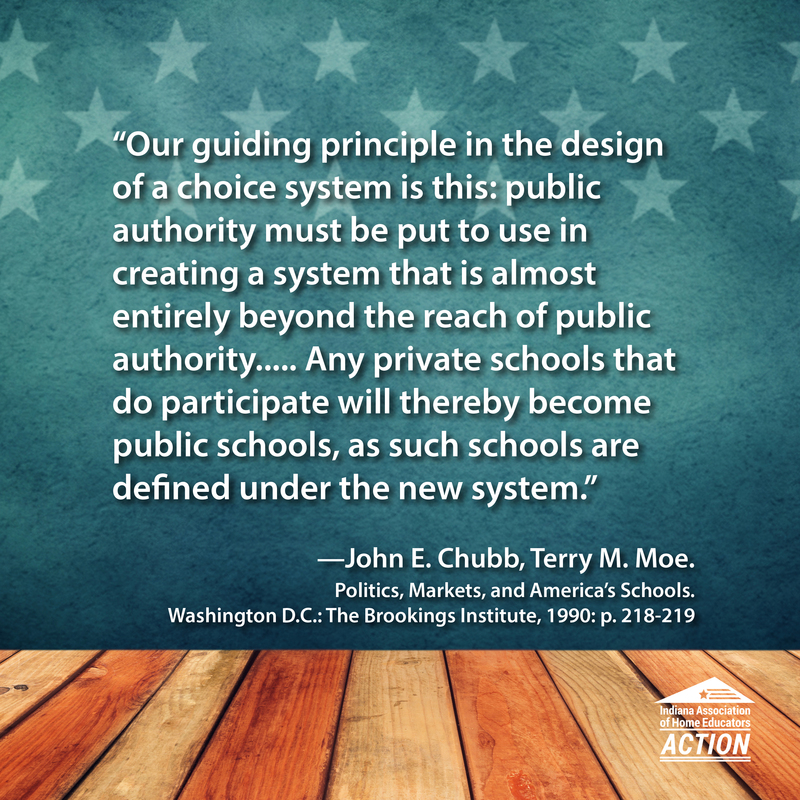 “Any private schools that do participate will thereby become public schools, as such schools are defined under the new system.” John E. Chubb, Terry M. Moe. Politics, Markets, and America’s Schools. Washington D.C.: The Brookings Institute, 1990: p. 219. ”By rhetorical sleight-of-hand, this redefinition would address long-standing concerns about the propriety of providing government support to public schools simply by declaring private schools to be public.” Jeffrey R. Henig, Rethinking School Choice: Limits of the Market Metaphor. Princeton: Princeton University Press, 1995: p. 94. 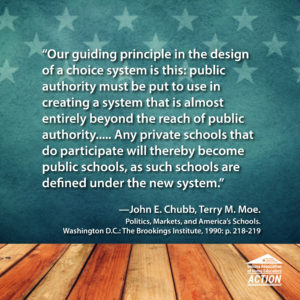 Based on the above quotes by school choice advocates, homeschoolers, as defined by Indiana law, would then become public schools which is a violation of our federal Constitutional right to provide an education independent of government intrusion. ESAs/EOAs appear to play a part in transforming the public school system. Homeschoolers are alarmed that they could unwittingly be drawn into it. 2.) There have been over 50 cases of discrimination against homeschoolers in Indiana. Cases have included denial of entrance in trade schools to qualified candidates job offers being rescinded. The more education becomes entwined with corporate interests, the more likely it becomes homeschool candidates, who do not have diplomas issued by state agents, will see an increase in discrimination. There is a well-documented case of an Indiana corporation denying employment to an Ohio home educated student. The division of homeschoolers in Indiana will increase the possibility that the group under State “oversight” could be viewed more favorably. We are concerned about the soft consequences of non-participation despite producing highly educated graduates. 3.) A legislator said this bill will help those who are “incapable” of homeschooling. Ask any homeschooler if someone who is “incapable” should be encouraged to homeschool. I can tell you their answer. NO! It’s a recipe for disaster. 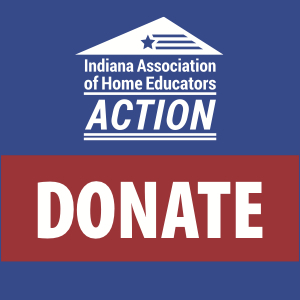 Indiana Association of Home Educators and IAHE Action have dealt with the Indiana Advisory Committee to the U.S. Commission on Civil Rights and the topic of the School to Prison Pipeline for ten months in 2016. We saw first hand what happens when the public schools encourage someone to “homeschool” who is “incapable.” We truly believe any parent can homeschool if the motivation comes from within. It should never, ever be motivated from an outside source. 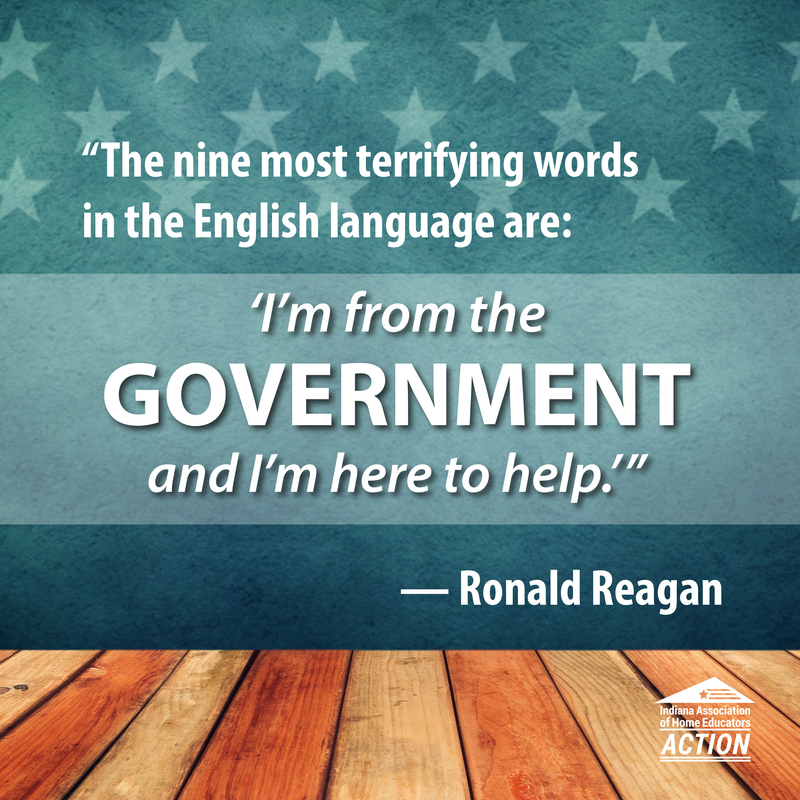 Former public school families homeschool now…without government “help.” We’ve been doing it for 35 years. 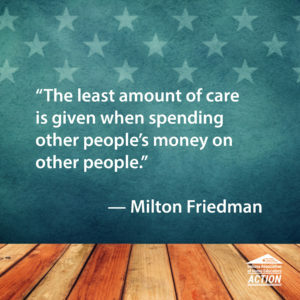 As Milton Friedman said, “The least amount of care is given when spending other people’s money on other people.” A number of homeschoolers have expressed concern that they know of other people who would absolutely sign up for this program in order to receive a perceived benefit and not use it to teach their children. The public school truancy problem where parents claimed to homeschool, but their students were actually truant gave legit homeschoolers a black eye. We are concerned this bill will give us a second black eye. 4.) We are concerned the schools will use an EOA to play a “shell” game with their problem students in order to protect their A-F grade. The accountability measures for the public schools have negatively affected homeschooling over the years. Homeschooling seems to be an area in which they hide their problem students to get them off their records. Ask people in the homeschool community if they know these people and they will say, “no.” According to testimony in the School to Prison Pipeline, principals from the schools appear to know these dropouts and that they are not being educated. If they know them, why they are not dealt with according to the current law? In fact, a testifier from the hearing told the IAHE Director of Government Affairs that “If we can make them register, teach them how to homeschool, monitor their homeschool, buy their curriculum and test them, homeschooling will work for the dropouts!” YIKES! We are concerned this bill will enable that practice. The good reputation of homeschoolers will be once again sullied from those outside our community. Home education has always been about the parent-child relationship. If a parent is disinterested, lacks time, or motivation, the amount of money that is spent on homeschooling will not change that attitude or situation. A recent IAHE survey of Indiana homeschoolers showed the average Indiana homeschool family spends less than $500/year on their children’s education. That amount of money will not allow a working parent to stay home to homeschool. 5.) We are concerned this is the camel’s nose under the tent in home education. Homeschoolers must be independent and self-motivated to homeschool. Creating a new entitlement class is not conducive to the character necessary to successfully home educate. Homeschoolers must be innovative, independent parents, not ones who wait for assistance from others. 6.) EOAs will require a parent to be an “approved” service provider in a yet to be determined procedure with unknown criteria that will be developed by the Indiana State Board of Education to receive approval by the Treasurer. 7.) EOAs will require a de facto registration of a homeschooler. Data is king in Indiana. We strive to protect our children including their data from government overreach. It is private, intimate information of our children. We aim to protect it until they can decide on their own as an adult with whom they decide to share it. Our children are more than cogs in the government machine. They are our treasured gifts from God, and we are accountable to Him for their education and upbringing. 8.) Funds may only be used for qualified expenses. The State will decide what is “qualified” and we believe this will open the door to Common Core for homeschoolers as the State requires it for its public schools. Of course, we now have Indiana Standards, which contains 85-90% of Common Core standards. As Shakespeare once said, “A rose is but a rose if called by any other name.” Same goes for stinkweed. We are also concerned about curriculum price inflation. Anyone remember the government-funded $640 toilet seats? 10.) A new entitlement will necessitate increased taxes. Homeschoolers do not need the State to take our tax money and turn around and give it back with strings. If you want to help, increase our deduction to $2,500. 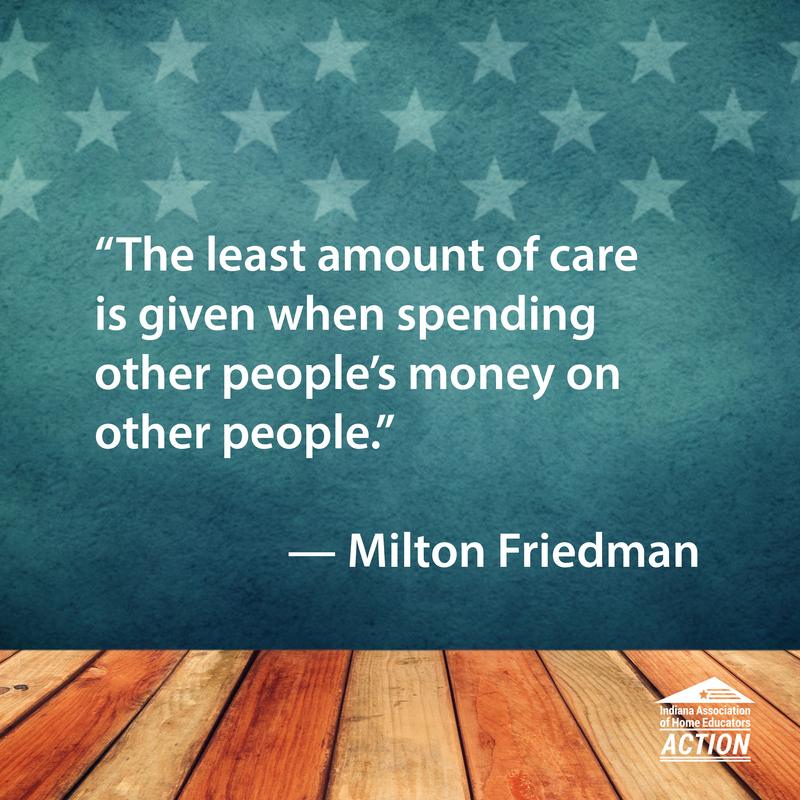 With a tax deduction, we can keep our own money and the State never touches it. Increased taxes will make it more difficult to homeschool without government “help.” After all, the Indiana legislature is campaigning for an increase in the gas tax to cover fixing roads, an obvious role of the government. If tax increases are already needed for the government to perform basic services, why are they dangling $400 million dollars in our faces for an area it doesn’t serve and we don’t want? Is it really to “help” or to control us? 11.) EOAs are vouchers. Despite the best of intentions including protective language in Indiana Code, the increased regulation of Indiana voucher-accepting schools did not escape our notice. Families tell us they feel it was a “bait and switch”. Fool us once shame on you; fool us twice, shame on us. 12.) An EOA family must agree not to enroll the student in a school corporation, charter school, or the choice scholarship program. If that family is pushed into homeschooling and they are unsuccessful, they are not able to enroll in a public school and parents are left holding the bag. Homeschooling will get the blame for failure. An African saying that relates to missionary help states, “We’ve been fixed so many times we’re a real mess now. Lord, please do not send another one to help us.” We see this as the problem with our schools. Instead of meddling with the schools, let the locals deal with them. They can fix their schools. It’s the one thing that has not been tried. We do not want the State to start meddling with “home schools” because we guarantee this idea of “helping” “incapable” people homeschool will lead to requiring “fixes” and make a mess out of home education. Homeschooling works and we’ve proven it; please don’t mess it up! 13.) What will happen to the public school push-out students when the EOA funds are not sufficient to meet the needs of the child’s educational challenges? By taking the EOA money, the parent has agreed to not utilize ANY further state money or services. When the money runs out the parent either has to begin paying out of pocket or the child simply goes without any remediation for the rest of the year. Based on IAHE’s past experience with push-out families who call them for help, we know the public school will not help these families assess the cost/benefit ratio between staying enrolled and taking EOA money. Who is helped here besides the public school’s graduation rate and A-F rating? Hint: Not the child. 14.) Home educators are allowed to be innovators in education and we are concerned about the potential for increased regulation. Curriculum can be adapted for the student rather than the student adapting to the school’s curriculum. Children can learn at their pace without the stress of constant assessment. The joy of learning is allowed to take hold. 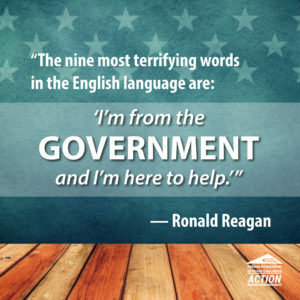 Inserting government “oversight” or “accountability” into homeschools introduces the very problems that plague our public schools into our homes. What benefit has child assessment given students in schools now other than frustrating struggling learners and creating incentives for principals to push poor performers out of the public school? Home educators test their students. They independently contract with testing services utilizing the standardized test of their choice. The difference being the parent is in full control of testing frequency, the child’s results and who sees those results. The modern move towards data-collection is a grave concern for many homeschool families. Pulling homeschoolers into the public/private school universe deprives parents the right to control their children’s data and sends the clear signal the government does not trust parents. For those parents who wish to have greater support at home, Indiana already offers a Virtual Public School (VPS) option. VPS still requires an engaged parent to keep the student on task even if grading and testing is being done by the educational vendor. After having risked jail time and potential loss of children for the right to homeschool, homeschoolers are very protective of our hard won liberty. The very thought of publicly-funded homeschooling appears to be an oxymoron. One cannot retain liberty while under government regulation. EOAs are a foreign concept that we believe will fundamentally harm homeschooling in Indiana. One choice with many names is no choice. IAHE Action is a 501c4 homeschool advocacy organization. Please consider a non-tax deductible donation. Thank you! Our friends at Nevada Homeschool Network were forced to aggressively defend their homeschool law in 2015 when School Choice advocates attempted to use it as the vehicle for Education Savings Accounts (ESAs). They fought for many years to remove onerous homeschool regulations in Nevada, so they now must protect the liberty they have gained. They have done extensive research about ESAs (in Indiana we are seeing them called Education Scholarship Accounts or Education Option Accounts.) They are education subsidies that are accompanied by regulation. We have asked if we could share their research. They issues they raise in Nevada are applicable in Indiana. As the 2017 Nevada Legislative session approaches, homeschool parents and advocates must stay engaged in the debate over “government funded school choice” and the impact on homeschool freedom; Education Liberty, or #EdLiberty for short. We must understand and proclaim the Biblical truth that ALL parents are ultimately responsible for the education of their own children, not the state. 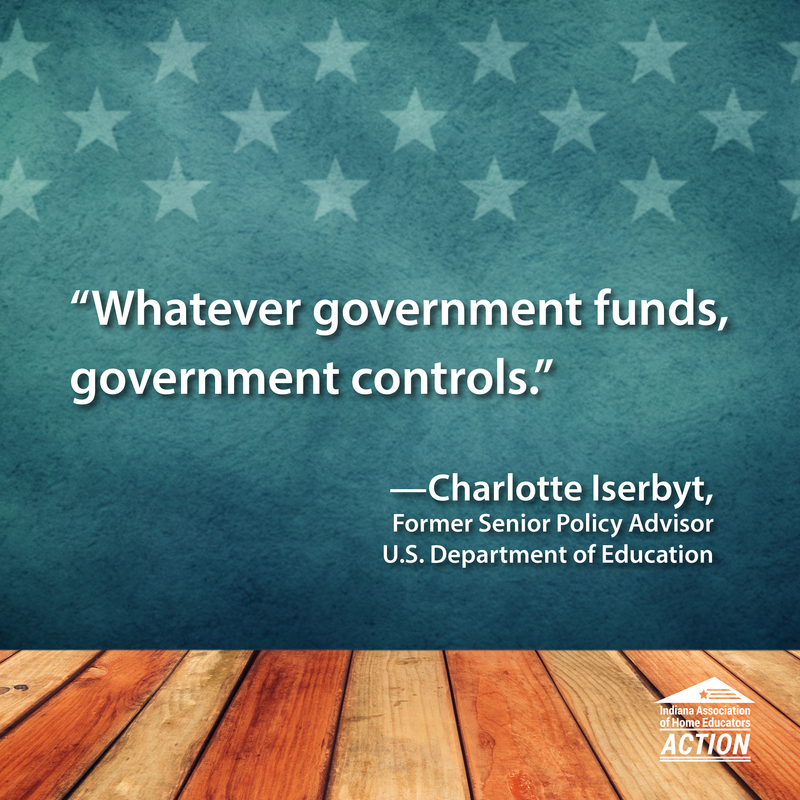 But when private schools/parents accept “state funding” the government takes control, not the parent! 1/23/2017 – Question: Why shouldn’t NV Legislator’s regulate self-funded homeschooling if they vote for funding the ESA program that does come under government control? Answer: Parents have the fundamental right to direct the health, education, and welfare of the child which is upheld in Nevada statute, case law and by the US Supreme Court. Homeschool parents in Nevada who do not accept taxpayer funding have the ultimate right and responsibility to ensure that their children are educated within the framework of the child’s age and abilities, as determined by the parent. However, the court may intercede in the event of “education neglect” as allowed in NV statute. So, in Nevada the “best interest” of a child who is homeschooled is determined by their parents or guardians, not the government, which is in line with the views of delegates to the 1884 writing of the Nevada Constitution and upheld by the Nevada Supreme Court. Click here for printable version of 1/22/17 update. Nevada’s “Education Savings Account” program now being proclaimed “the model” for other states in the publicly funded “school choice” debate. Or is it? Background: During the 2015 Nevada Legislative Session, State Senator Scott Hammond requested a Bill Draft Resolution (BDR) for a government funded alternative education option for Nevada K-12 students. The Friedman Foundation (renamed EdChoice in 2016) assisted Senator Hammond in the writing of SB 302, the Nevada Education Savings Account bill. What makes Nevada’s ESA unique from existing smaller programs in four other states (Arizona, Florida, Mississippi, and Tennessee) is that it is “universal”, meaning it is not “means” or “needs” tested and is available to all NV public school students enrolled for a minimum of 100 days regardless of family income level or school failure rates. Authors of SB 302 proclaimed, “It allows parents to remove their children from their assigned public schools and access a portion or all of their children’s public education funding to pay for services like private school tuition, curriculum, learning therapies, tutoring and more.” [i] This new program passed the 2015 NV Legislature along strict party lines (all Republicans in support, all Democrats opposed). [ii]  Currently, state legislatures in Texas, Indiana, Idaho, Iowa, Pennsylvania, Missouri, and even President-elect Trumps’ new administration are mulling government funded ESAs to expand “school choice” in 2017 and the Nevada ESA program is the model for many of the proposals. An Education Savings Account (ESA) program is different from a “voucher” they say, since money from the state’s Distributive School Account (DSA) is not being paid directly from the state to a religious private school (Blaine Amendments in many state constitutions prohibit the use of public funding for sectarian purposes). Rather, the money (between $5,100 to $5,700 in NV) is to go from the state’s Distributive School Account into the Education Savings Account in the name of the child, whose parents then choose from government “approved” resources where to spend the money so that the child receives an education as compelled by state compulsory attendance laws. [iii] This, proponents say, means the parent, not the state, is choosing the education modality for the child and the parent is then “empowered” to choose a private religious school or use religious materials for the education of their child. The NV Supreme Court upheld this in Schwartz v. Lopez. [iv] However, this new “empowerment” called “school choice” is still controlled by government when compared to self-funded, private homeschooling that is rooted in the parent’s right to direct the education of their child, free from government control, in other words, Education Liberty. SB 567: Homeschoolers as dropouts?